Living in the modern world of today can be very stressful. People today are busier than ever and for the majority of us, in the fast lane. The problem with our lifestyle is that our days are far more productive and are usually complied by participating in a lot more activities than ever before. This in turn leaves us mentally and physically exhausted at the end of each day. Due to this occurrence, people are trying to find ways wherein they could find a way to relax and unwind. With the demand of people for the things that can provide them great comfort and ease is the growing popularity of bath amenities like saunas, Jacuzzi, whirlpool tub and a lot more. 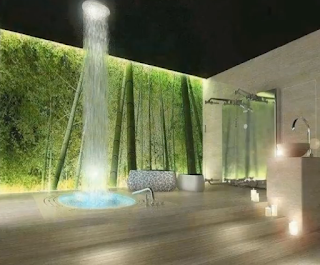 The Steam Shower is one of the latest forms in which people find to be an effective way to reduce their stress levels. It is not only just to provide the relaxation element that people are looking for, it is also a stylish feature that boasts a host of other amazing gadgets to make the showering session a much more enjoyable experience. The steam cabin may give you the relaxation and rejuvenation that you always wanted but aside from those things, it aims to improve your health. A lot of people love taking a steam shower session regularly because they know that it can improve their health, body and skin. One of the great health benefits of the steam room is that it can detoxify the skin really effectively. The heat that is coming from the steam can help the skin pores to open up. When this happens, the dirt, grime and the oil that has accumulated under the skins surface are then easily washed away. Some findings also verify that the steam can help in repairing the skin cells thus causing you to have a more vibrant and glowing skin. Also, the steam unit can help in making you perspire profusely. Perspiring a lot helps in getting rid of many of the other harmful substances found within our bodies. Once we sweat, all these unhealthy toxins are released with the sweat. By taking a steam session the skin can absorb moisture thus making it much healthier. Another noted health benefit that the steam shower enclosure can provide its regular users is to improve the bloods circulation. It is known that being exposed in steam rooms for a few moments can make our heart work better. As such taking a regular session within the steam bath is almost like doing an aerobic exercise workout. The warmth brought by the steam can cause for our blood passages to widen, thus making our blood have an easy flow and circulation. The widening of blood vessels is also known as vasodilation. This process is known to be very effective in maintaining the functioning of our circulatory system. As time goes by, people who regularly take a steam shower can enjoy its rewarding effects on their blood circulation for a long period of time. Lastly it is has been recently realised that by taking regular steam baths can actually help people lose weight. This is mainly through the metabolism. When the metabolism is increased it in turn makes the body start to burn off fats which then in turn leads to reducing our fat levels and losing weight. 0 Response to "Slow Down and Reduce your Stress Levels by Purchasing a Steam Shower"